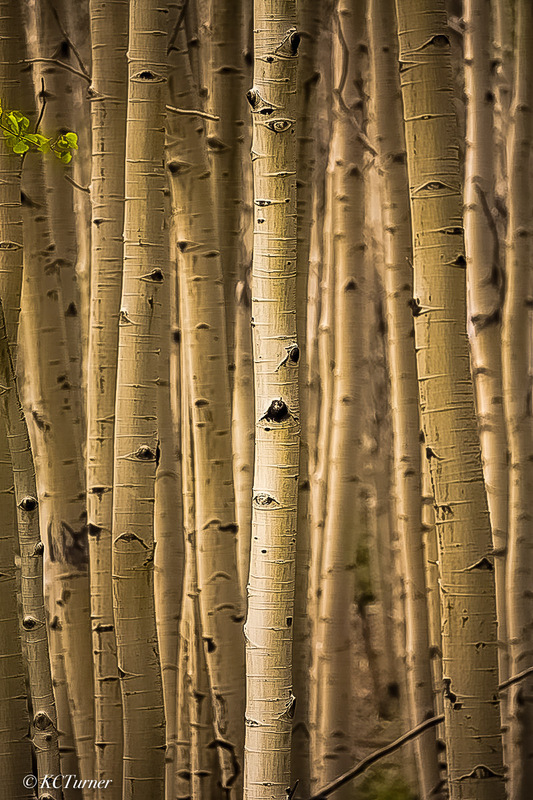 This golden sepia toned grove of aspen trees highlights a delicate cluster of leaves deep within Pike National Forest, Colorado. I captured this treescape photograph just before sundown which offered me just the right light to render a quieting, soft pastoral effect. Photo © copyright by K.C. Turner.